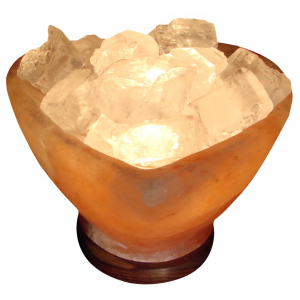 Himalayan Salt Detoxer is both a pleasing, natural work of art and a powerful tool for re-balancing, revitalizing and gently cleansing the body and mind. A soothing way to warm your hands and feet on cold winter days. They enjoyable sensation provided by the lamp, along with its visual stimulation, make it a perfect gift for those you love! 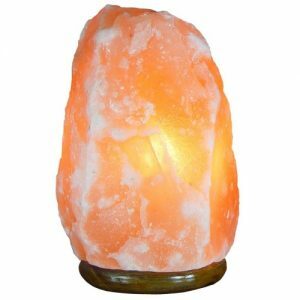 Salt Dome Lamps help support circulation and reduce swelling in hands and feet. 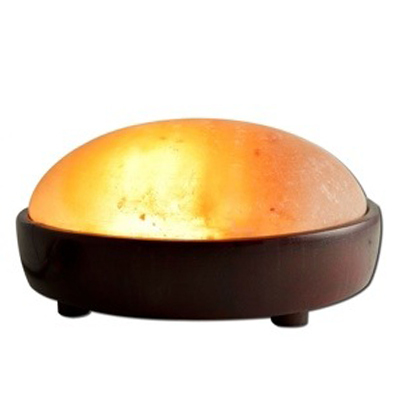 The Salt Detox Dome is easy to clean and care for. 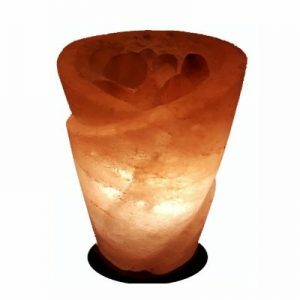 This sensational hand-crafted salt dome lamp doubles as a beautiful salt lamp when not in use for hands and feet, providing the perfect, soft lighting for a nightlight. It also helps to purify the air through the process of natural air ionization. Roll Glass with 100% Himalayan rock salt . it comes with cable and 15 watt bulb .